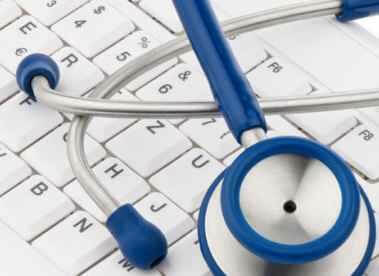 Healthcare administration is an extremely important line of work and the market is growing rapidly. In fact, recent research finds that job growth in the healthcare administration sector is expected to increase 17 percent over the next ten years. This higher than average growth rate makes the field attractive to many students and young professionals. Most students will obtain an undergraduate degree and will move on to obtain a masters as as they pursue a leadership role in the industry. Although continuing education in the field is beneficial, there are a few key skills you'll want to master while working towards your degree. Most healthcare administrators will have some supervisory responsibilities. They are often in charge of a small division and will need to have the interpersonal skills to effectively manage and relate to their subordinates. Effective managers are extremely important to the process of productivity and employee engagement, so it's critical that healthcare administrators learn how to effectively motivate their teams to achieve established goals. A breakdown in communication or a slight misunderstanding can have a huge impact on productivity and team morale. Healthcare administrators will often be tasked with situations that require effective problem-solving. They are managing the big picture when it comes to the medical facility, so unanticipated problems are bound to arise. Administrators will need to learn how to carefully analyze each situation and find feasible solutions in a timely and professional manner. A lack of effective problem solving can be pretty costly, so administrators will want to develop this skill early in the process. Healthcare administrators are responsible for implementing healthcare systems in an efficient and fiscally and ethically responsible manner. To effectively perform this process healthcare administrators will need to have an extensive knowledge of healthcare regulations and requirements. They'll need to have the ability and confidence to research current legal practices and make relevant connections to their own facilities and processes. This process of research and analysis is extremely valuable in this competitive and pressure-filled line of work. Healthcare administrators are placed in a very visible leadership role. They are expected to make major decisions that could impact the financial health of the organization and will need to have the ability to make strong and informed decisions. Students will want to craft a decision-making strategy and process early on and apply this process regularly in their school and professional work. Technology is changing the way healthcare is administered across the globe. The introduction of the electronic medical record has changed the landscape and made technology a regular part of the healthcare process. Students interested in this field should have a level of comfort with technology and its business applications and should be prepared to use technology daily in carrying out their administrative duties. These are just a few of the many competencies required of healthcare administrators in the modern world. These are all competencies that can be developed in school while obtaining a masters. Students who seek opportunities to apply these skills will be well equipped for a career in healthcare leadership and administration.